Range: North America,Chaparral, desert scrub, and other arid brush in the west and southwestern United States. 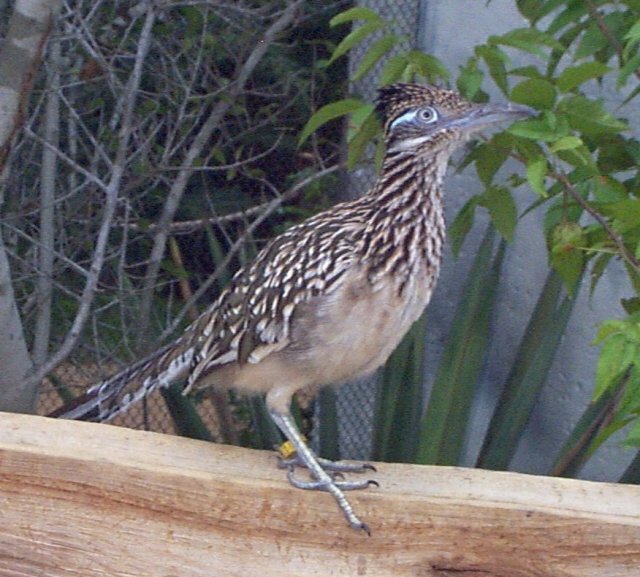 Habitat: The Roadrunner inhabits open, flat or rolling terrain with scattered cover of dry brush, chaparral or other desert scrub. distinguishing appearance. He is a large, black and white, blotchy ground bird. A fearless snake hunter who eats rattlesnakes and storms across the American deserts. 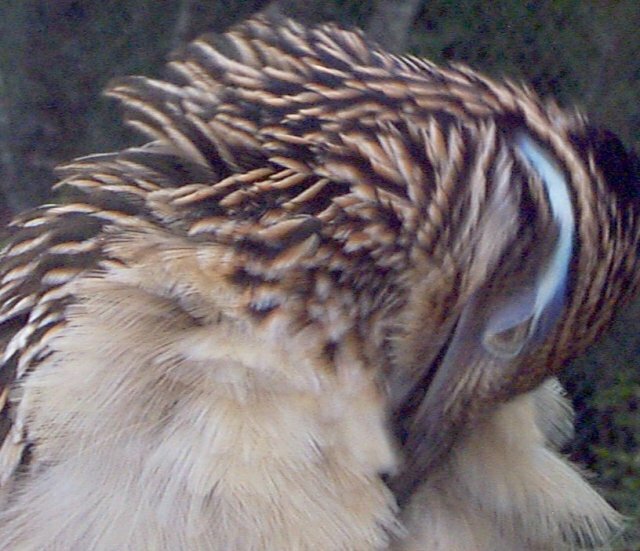 The Roadrunner has very strong feet, characteristic head crest, and white-tipped tail with oversized bill. 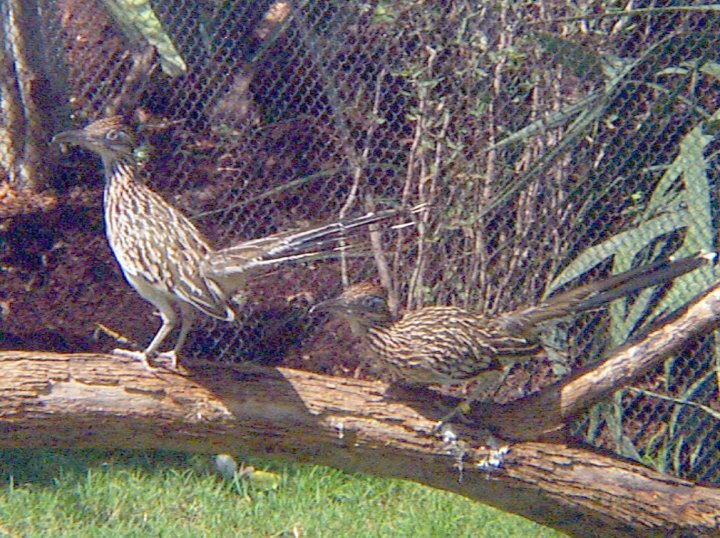 There are 3 roadrunners at Texas Wild, 2 females and 1 male. Roadrunners do seem to spend most of their time running on the ground. They are very friendly and curious birds(do not be surprised if they come to you while you are watching them). They are not afraid to run in front of you and observe you with caution. They also make a lot of noise. Their tails the biggest parts of their bodies and they are positioned in an upward angle which is not very aero dynamical ( which may be one more reason why they do not fly).